Based on existing materials and tools Member States and regions across the EU have developed research and innovation strategies for smart specialisation (RIS3) investments that guide €121 billion of innovation-related investments from the European Structural and Investment Funds until 2020. These strategies are being implemented to promote growth in regional, national and European priority areas. The project ONLINE S3 aims to provide additional support for facilitating the overall process of developing research and innovation strategies for future smart specialisation investments. The funded HORIZON2020 ONLINE S3 consortium invites regional and national authorities across Europe to team up around the ONLINE S3 project. Through this dedicated call for applications, the aim is to mobilize regions and national authorities for using the e-policy platform onlineS3.eu augmented with a toolbox of applications and services for supporting the implementation of the smart specialisation agendas. 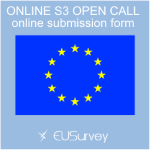 The specific objective with this call for applications is to put a 9-months-partnership process with two additional regions or national authorities from EU Member States in place to participate in the project ONLINE S3. The nominated applicants will receive each a project budget of 98.000 Euro maximum for experimenting with the innovative platform, apps and e-services in a web based pioneering environment guided by the responsible project partners according to a designated roadmap. What are the partnership process and potential benefits? Increasing a cross-European collaboration through the exchange of feedback and best practices. Guided by a professional “pilot trainer” the selected authorities will be able to experiment with a pioneering web based approach for improving the regional or national smart specialisation strategy. A project budget and a work plan will allow to put in place a series of dedicated activities to offer opportunities for interested stakeholders to be informed, involved, consulted and collaborating in supporting the smart specialisation strategy. revise and improve the smart specialisation strategy professionally guided and monetary supported! Throughout the experimentation with onlineS3.eu platforms, national and regional authorities participating in this process will be able to respond to global challenges and incorporate trends related to smart specialisation on a global level. Based on Foray et al. (2012) with the “Guide to research and innovation strategies for smart specialisation (RIS3)” the development of RIS3 includes risk-taking because the choice of setting priorities is related to uncertainty which is the best way to implement activities in fostering regional smart specialisation strategy. Therefore, the recommended experimentation is acceptable for testing new approaches to increase certainty towards the prospects of the priorities selected for the RIS3. Finally, and worth mentioning, your effort in this regard will not only improve your smart specialisation strategy, it will be also honored through a dedicated project budget to cover both personal costs and other costs related to the implementation. The consortium’s evaluation panel is supported by the European Commission. For the partnership period the successful applicant will receive a budget of 98.000 Euro maximum covering all necessary costs to reach the deliverables. All applicants must provide a financial offer covering the required tasks to be implemented to reach the outlined deliverables (minimum offer is 85.000 Euro). An estimation of the costs for each deliverable and task as outlined in the timetable must be provided. A complete costs table should be included justifying the best price-quality ratio. 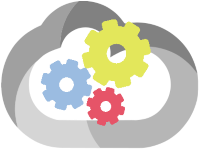 As part of the pilot experimentation phase assessing the developed platform onlines3.eu, its tools, services and apps feedback represents an important key element for the whole project ONLINE S3 and, thus, the pilot partnership. Consequently, the pilot’s feedback including means of verification recorded and delivered timely builds cornerstones in this regard to enable beneficial and continuous improvement progress throughout the project. REVISED SMART SPECIALISATION STRATEGY: through participating the pilot will provide valuable input for ONLINE S3 with evidence on regional innovation potential by using all the available ONLINE S3 tools and e-services. The revised smart specialisation strategy will benefit from the e-platform -driven approach, which will facilitate and assist all 6 steps of the RIS3 process. STAKEHOLDER ENGAGEMENT: the pilot will be executed collaboratively with stakeholders and emphasize the fact that the strategy is going to be entirely improved and executed rather than just viewed as a theoretical exercise. ASSESSMENT REPORTS: the pilots assess the revised RIS3 processes supported by the means of the provided platform, tools and services on behalf of ONLINE S3 in comparison to the previous RIS3 development or/and identify new policy support approaches that became possible due to online policy tools and data. Accordingly, pilot projects prerequisite to be more intensive monitored and evaluated, in order to shape the decision of continuing based on reliable evidence. Key Performance Indicators and related assessment templates should have been elaborated, which need to be delivered timely to underpin the pilot’s commitment. With regards to assessment, the pilots need to assess (a) the usefulness and easy of use of the OnlineS3 platform and its tools and databases, (b) its added value with respect to the previous way of RIS3 design done without the OnlineS3, in terms of effort (with and without), range of methods used (with and without), stakeholders’ engagement (with and without), data sources and data used, etc., and (c) gather ideas for improvement of the Online S3 platform / tools. The following project deliverables (PD) should be provided. PD1: Revised version of the regional/national Smart Specialisation Strategy after using all available information, tools, apps and services via the Online S3 Platform available at www.onlines3.eu (At least partially revision – national/regional circumstances can be taken into consideration). PD2: Based on the Key Performance Indicators (please read the attached documents) participating stakeholders should fill at least 200 web based assessment questionnaires (link will be provided) to provide feedback to improve the quality of the stakeholder participation by an interplay of participation quality dimensions during the partnership phase. This online questionnaire is dedicated toward the quality assessment for improvement and NOT the development of RIS. Literature and its measurement items related to stakeholder participation in both policy and innovation processes about uncovering the interrelationships of participation quality dimension will help to better design ONLINE’s participatory processes in this new online service development project (e.g. Abelson and Gauvin, 2006; Rowe and Frewer, 2004; 2005). The assessment results will enable us to provide more robust, consistently, rigorously, valid and reliable results in terms of statistical analysis based on prior well-build items of policy stakeholder participation literature. PD3: A final analysis report assessing www.onlineS3.eu from the pilot’s perspective based on a provided template has to be delivered by 1st December 2017. This report should also include the core results of 10 in-depth interviews with the policy-makers and consultants. A template for this report will be provided.